Save on Your Dental Care with an Aetna Dental Savings Plan! Make your dental care easy and affordable! Save 15% to 50%* on most dental services. Your plan activates within 72 hours of purchase, allowing you access savings on dental care and other healthcare services almost instantly. Before any work is done present your plan to your health care provider. Over 241,000+ providers have agreed to provide discounts to plan holders on most procedures. There is no paperwork or reimbursements when using your savings plan. After the procedure you pay your health care provider at the time of your visit. It is that easy! Start saving on your dental care today. ** According to the Aetna Enterprise Provider Database as of September 2012. Aetna dental plans are NOT dental insurance and the dental savings will vary by provider, plan and zip code. Aetna dental plans are not considered to be qualified health plans under the Affordable Care Act. Please consult with the respective plan detail page for additional plan terms. The dental discounts are available through participating healthcare providers only. To check that your provider participates, visit our website or call us. Since there is no paperwork or reimbursement, you must pay for the service at the time it’s provided. You will receive the discount off the provider’s usual and customary fees when you pay. We encourage you to check with your participating provider prior to beginning treatment. Special promotions including, but not limited to, additional months free are not available to California residents or on Fully Insured Plans. 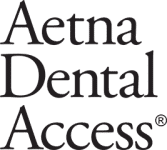 Note – not all Aetna dental plans and offers available in all markets. © 1999- 2019 DentalPlans.com, Inc. All Rights Reserved. Don't Miss Out! Join Now!